New Delhi, May 7: Aiming to achieve milestones, Prime Minister Narendra Modi’s ambitious Ayushmaan Bharat has gained quite a lot of momentum. PM Modi on Monday reviewed the progress of preparations towards the launch of the ambitious Health Assurance programme under Ayushman Bharat. 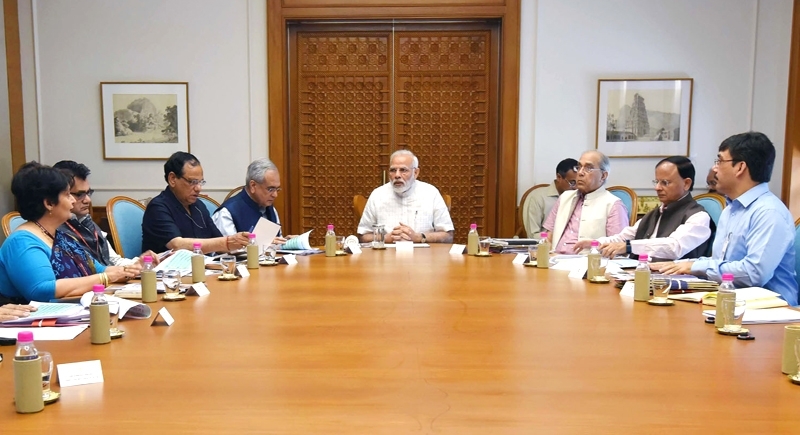 Apprised by the preparation done so far, PM Modi reviewed the preparation, including consultations with States, for the smooth and expeditious rollout of the Health Assurance programme. The scheme will provide a cover of upto Rs. 5 lakh per family. It will be targeted to cover over 10 crore poor and vulnerable families. Under the scheme, the PM has also targeted to stress on providing maximum benefit to the poor and marginalized sections of society, under this scheme. Last month, on the occasion of Ambedkar Jayanti, the Prime Minister had inaugurated the first 'Health and Wellness Centre' under Ayushman Bharat, in the aspirational district of Bijapur in Chhattisgarh. Top officials of the Ministry of Health and Family Welfare, NITI Aayog and PMO, briefed the Prime Minister on various aspects of the scheme.